By now, you know that I’m a huge proponent of the Chase Sapphire credit cards (the Preferred and the Reserve). Earning Chase Ultimate Rewards through Chase’s program is the easiest way to earn points to travel for free. As I mentioned in this post, Chase has 11 transfer partners including Southwest, United, Hyatt, and Marriott. When I first started out in the points and miles game, the Chase Sapphire Reserve card didn’t exist. It came out in August 2016, and when it did, it had a whopping 100,000 Ultimate Rewards sign-up bonus attached to it! Unfortunately, the current sign-up bonus isn’t as large, but it’s at 50,000 Ultimate Rewards, which is a hefty chunk of points! However, even with the lower sign-up bonus, this card is the one to have if you’re looking to up your points and miles game! Here’s a comparison of the two cards and their perks. 50,000 Bonus Points after you spend $4,000 on purchases in the first 3 months from account opening. 50,000 Bonus Points after you spend $4,000 on purchases in the first 3 months from account opening. $300 Annual Travel Credit as reimbursement for travel purchases charged to your card each year. Complimentary Priority Pass Membership to 1,000+ airport lounges. Global Entry or TSA Pre Check Fee Credit. $0 Intro Annual Fee for first year, after that $95/year. $450 Annual Fee. You can fully compare the two cards (and apply for either) here! You’ll notice the high annual fee on the Sapphire Reserve. 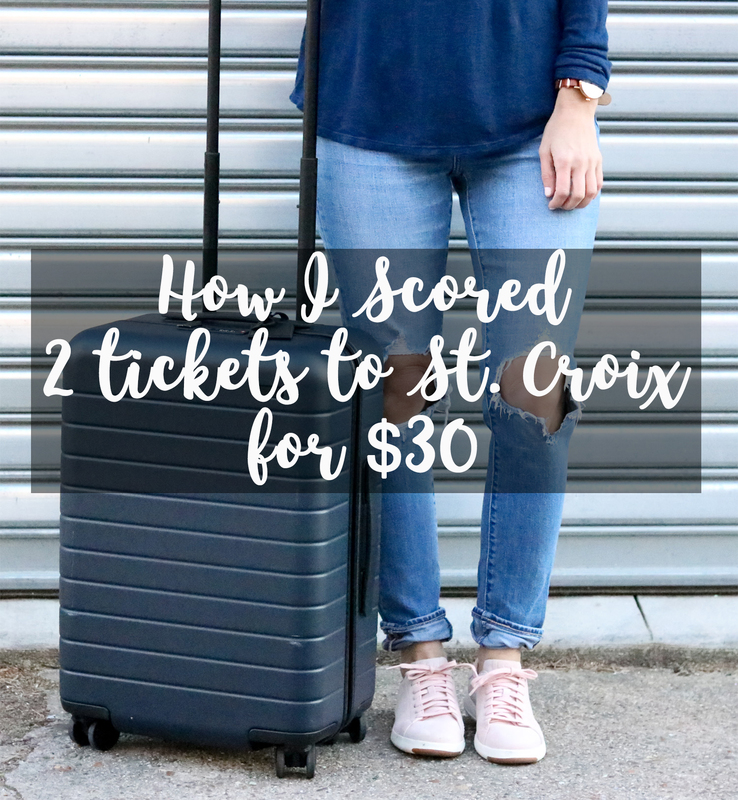 But to calm your fears about the fee, also take a look at the $300 travel credit. So essentially the annual fee is $150, which is only $60 more than the Preferred. The perks of the Reserve easily outweigh the fee. 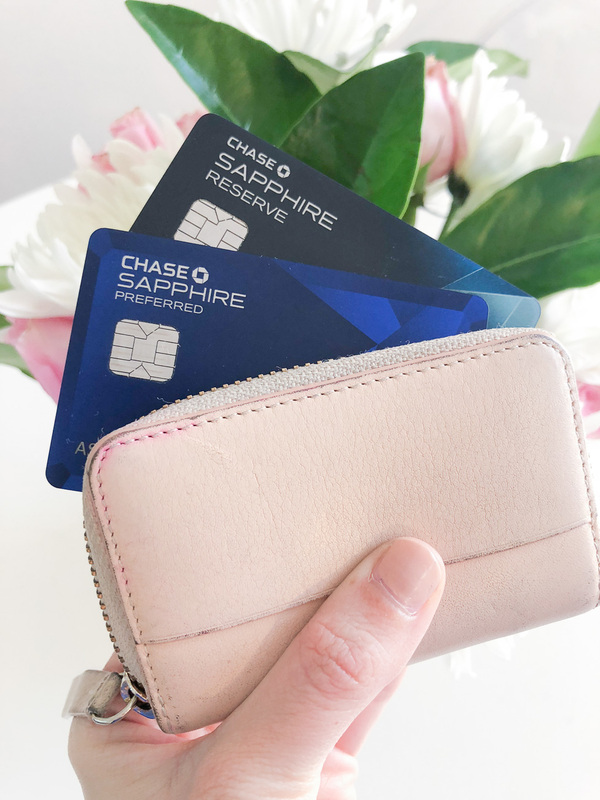 If you’re in a situation like me, where you currently have the Chase Sapphire Preferred in your wallet, but you’d like to switch to the Reserve because of the additional benefits (3x on travel, $300 travel credit, Priority Pass access etc. ), I’m going to walk you through the steps to switch from the Chase Preferred to the Chase Reserve. DO NOT just call Chase and do a product change from the Preferred to the Reserve. If you do this, you WILL NOT RECEIVE the 50,000 sign-up bonus for the Reserve. With that said, follow the steps below, and you’ll be able to receive the 50,000 point sign-up bonus with no problem. Once you’ve received your Chase Freedom Unlimited, and your Chase Sapphire Preferred account has been closed, you’ll need to confirm that it has been more than 48 months since you received your sign-up bonus for the Chase Sapphire Preferred. After you’ve confirmed it has been more than 48 months since you received your sign-up bonus, you’ll then need to wait a full billing cycle before you apply for the Chase Sapphire Reserve. PRO TIP: Call Chase, tell them exactly what you’re trying to do, and ask them when the date is that you can officially apply for the Reserve AND receive the sign-up bonus. I’d wait even a few days after that date to apply. Apply for the Chase Sapphire Reserve, get approved, spend $4,000 within the first 3 months of being approved, and you’ll see the 50,000 Ultimate Rewards hit your account! 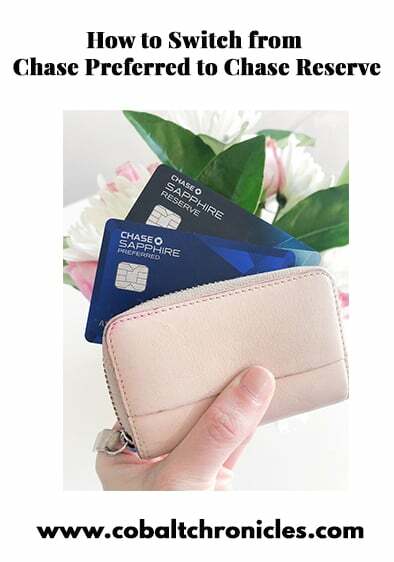 It’s a simple process, but it’s one that has to be followed in order for you to receive the hefty sign-up bonus on the Chase Sapphire Reserve card. Questions? Comments? Leave them below! Also feel free to email me at cobaltchroniclesblog@gmail.com with any questions! If you’re looking to go through this process yourself, I’d so appreciate you checking out this comparison chart and applying for your new Sapphire Reserve card here! In full disclosure, I do receive a small commission when you apply and are approved for the card. Please remember that I would never recommend a product, especially a credit card, that I haven’t used myself and love! This is a great trip! I only got my Chase Preferred last year, so have to wait awhile until I can get the Reserve and the additional points. I have the Amex Platinum and love the benefits, the point:dollar ratio is great, and has saved me a ton on travel expenses! Yeah, it’s an easy process to ensure you get the sign-up bonus but also one that could easily get messed up! Michael is on the Amex train, I haven’t jumped on just yet!